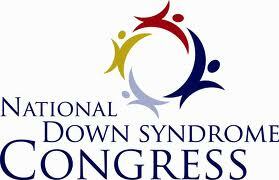 We are excited to send 3 Early Interventionists and 1 Case Manager to the National Down Syndrome Congress this weekend in Indianapolis, Indiana. This convention is packed with research, resources and other valuable education that will help make our staff even better at what they do – working with children, teens and adults with Down Syndrome. Have a GREAT time Natalie, Stephanie, Aileen and Whitney!! We are anxiously waiting to hear all the news from this awesome conference.